Amigo means “friend” in Spanish, and quite honestly, there couldn’t be a more fitting name for this playful little guy! Amigo works hard to befriend all humans and canines in his own enthusiastic, funny and sometimes hyper way! Due to his extravert nature, Amigo would be best placed in a home with canine playmates – preferably with his BFF (best friend forever), Naomi, and not left alone for long periods of time. Amigo came to our shelter for treatment of a skin condition, which is responding nicely to treatment. What about it friend? Could this Amigo be your new BFF? 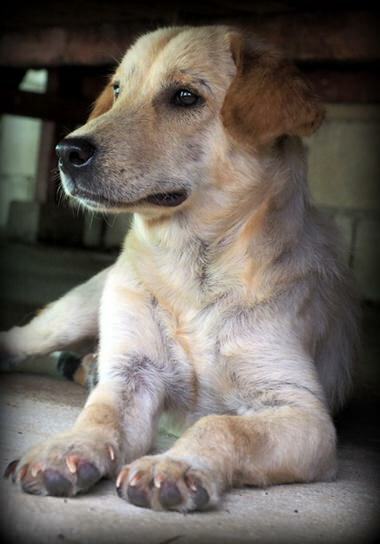 For more information or to meet Amigo, please email [email protected] or call 084 752 5255 (English) / 086 913 8701 (Thai). Special appeal for lovely dog! Amigo can be your friend!